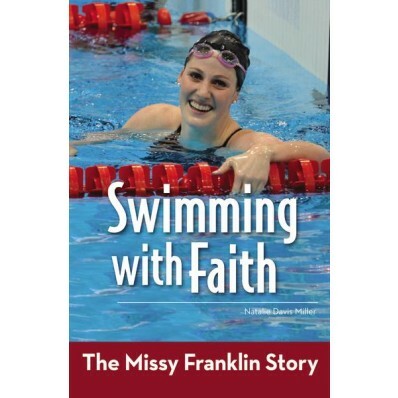 Missy Franklin is one of the most talented swimmers in the world. 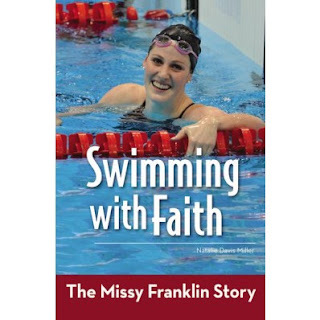 She is a four-time Olympic gold medalist and currently holds the world record in the 200-meter backstroke and American records in both the 100-meter and 200-meter backstroke. She was Swimming World’s World Swimmer of the Year and the American Swimmer of the Year in 2012. This story tells of her rise in fame and humbleness in the sport. Any other parent out there trying to find positive sports or other famous influences for their children that will still portray Christ's qualities? This is a great read that will encourage young and old readers alike. This true story is a quick read that will catch your attention quickly. I like that this female encourages not just girls but all who will read her book. She will helps us realize that no matter what we need to not be shy and continue to do things well and give all the glory to God! What a great role model to kids but to any christian who has struggled with professing Christ and living as a good example to that! Thanks Zondervan for sending me this book free of charge in exchange for an honest review. I was not paid for this review and all opinions expressed are 100% mine.